The office of Dr. Steven C. Crowson has put together a list of a few tips to help get the most out of your flossing routine. · Use whatever method that works best for you. Whether it is ribbon floss or a Y-shaped holder be sure to find the method that helps you best get in those hard to reach areas. The Dr. Steven C. Crowson's dentists are more than happy to help you find the right one for you. · Be gentle. Work the floss between your teeth gently, use a sawing motion. If you force it down you could possibly damage your gums. 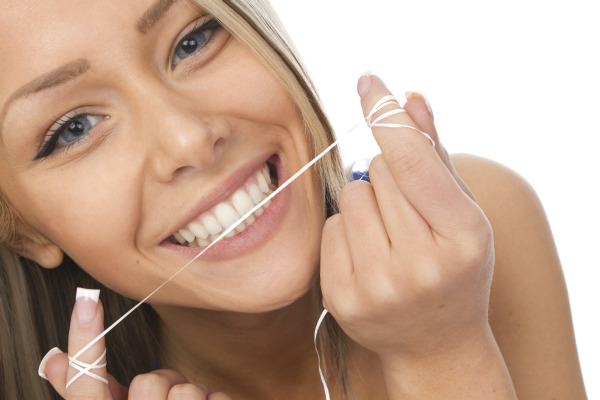 · Once in between your teeth, pull the floss sideways to scrape off the insides of your teeth in an up-and-down motion. · Don’t forget the back of your very last tooth. Because this side is so difficult it often gets forgotten about or simply ignored but a lot of gunk can get left behind there. So make sure you reach back there and get that spot. 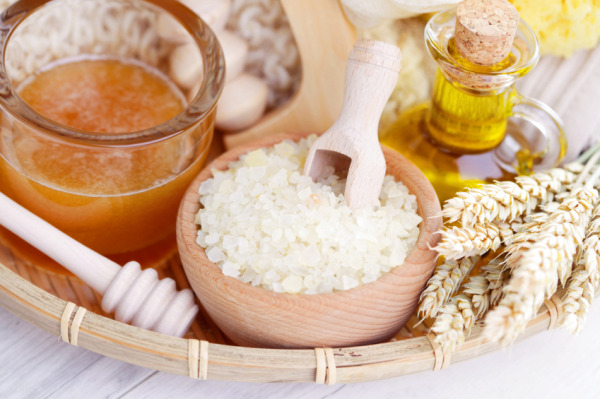 Natural products have quickly become a popular trend these days. This trend has now even made its way into the oral hygiene section. But what is the difference between normal toothpaste and natural toothpastes? The ingredient’s natural toothpaste does NOT have is the biggest difference. Here is a list of ingredients conventional toothpaste may have that natural toothpaste may not have. – Some conventional toothpaste’s will have artificial flavors added to them so that you get the desired flavor. Natural toothpaste’s will utilize flavors derived from natural ingredients. – Saccharin and other artificial sweeteners can be found in most conventional toothpaste’s, whereas natural toothpaste will contain sweeteners such as sugar alcohol xyliltol or stevia which can be found naturally. - The color conventional toothpaste has usually comes from artificial colors. Natural toothpaste does not contain any artificial colors and will be generally white in color only. – Although fluoride is a mineral that is used to fight cavities quite efficiently, it still has some opponents in the natural world. You will find that some natural toothpaste contains fluoride and some that does not. - Preservatives in conventional toothpaste such as sodium benzoate, methyl paraben and ethyl paraben are used generally to keep the toothpaste fresh and prevent microorganisms from growing. Natural toothpaste will use a natural preservative such as citric acid. – SLS is used as a foaming agent in toothpaste and can be a skin irritant for some people; it has also been known to cause canker sores if you are prone to them. Some natural toothpaste will contain SLS and others will not. Conventional toothpaste is perfectly safe to use, however if you are concerned about additives that are artificial, then their natural counterparts might be the way to go for you. For more information or for help finding the perfect toothpaste for you contact Dr. Crowsons' Dental Office for more information. If you can maintain a good teeth and healthy gums, you can be able to have a good health. You must know that oral hygiene is important if you want to maintain a healthy body or else you have to spend a lot on your medical treatment. Along with these, you have to bear a lot of harassment. Therefore, to avoid this problem, you need to take care of your dental health. Dental hygiene or oral hygiene is a process by which you can take a few dental care regimens so that you can easily prevent dental emergencies. The best oral hygiene regimen is the in-home oral hygiene routine you carry out. It is really essential to take advice of a licensed dental hygienist or an expert dentist to perform your at -home dental regimen. You are responsible for regular dental maintenance. However, if you take the advice of a dental expert, you can promote a better preventative dental care. You brush your teeth in order to remove plaque. However, you must remember that alone tooth brushing cannot remove the tartar or calculus that builds up on teeth over times. It is essential to remove dental plaque in order to prevent the chance of toothaches, periodontal disease, cavities, and the most importantly tooth missing. If you can remove plaque, you can avoid the risks of requirement of root canals, dental bridges, tooth extractions, crowns and more. Having good teeth results in good health. Preserving good oral health depends on your dental health regimen and this is the easiest thing that you can do for dental health. Healthy teeth help you look and feel good. On the other hand, they help you masticate and speak in a proper manner. In a brief, you can get a better facial expression and contribute to your overall health. Regular oral preventative care along with brushing and cleaning help you prevent dental issues before they grow. You need to supplement your preventative care with regular dental visits. There are a few simple ways to reduce the chance of growing cavity, gum disease and other oral problems. If dental health is poor, then you should consult a dental expert. But if you fear dental treatments, you can opt for sedation treatment. Brush properly two times a day and floss regularly. Eat a well balanced diet and restrict snacks between meals. Ensure your children below 10 have fluoridated water if you and your children stay in a non- fluoridated region. These preventative dental care routine helps you have a good oral health. In case if you develop any major dental disease, you can fix an appointment with an expert doctor. However, if dental procedures scare you, you can opt for sedation dentistry. With regard to this, sedation dentist in Columbus Ohio can offer a better solution to your dental issue. Consult with an expert dentist and find an answer. It is recommended to start cleaning your baby's mouth before their first tooth appears. You can start by taking a piece of gauze with water on it and wrap it around your finger then rub your baby's gums and tongue. This should be done twice a day. When your baby gets their first tooth at around 4 months old you can get a small tooth brush that is made especially for your baby and toddlers. The bristles should be very soft. Be sure to replace their tooth brush when it shows wear. If you live in an area where the water is fluoridated you should check with your doctor or dentist as they may suggest using tooth paste without fluoride until your child is at least 2 years old. Fluoride can be harmful to your child if they ingest large amounts of it. Always remember to keep tooth paste out of your baby's reach. When you use tooth paste only use a small dot. It should be about the size of a grain of rice. You will not have to rinse your baby's mouth after brushing as you are using such a small amount of tooth paste. You will not need to start flossing your baby's teeth until they have enough teeth that they are touching each other. If your water is not fluoridated your doctor may recommend fluoride drops or tablets. They may also suggest using fluoride tooth paste. Your doctor will be able to advice you about the best choices for your baby. You should start taking your baby to the dentist when they get their first tooth or when they are a year old. There are some foods you will not want to give your baby at snack time. It is better to serve them at mealtime. By serving them at mealtime the foods will probably get dislodged and won't be on their teeth as long. It helps if you serve them with water, too. Some of the foods to avoid for snacks are fruit, dried fruit, juice, and peanut butter and jelly. Some starches to avoid are bread, crackers, pasta and pretzels. Don't give your baby a bottle of milk, juice, formula or sweet drinks when you put them to bed. It may cause tooth decay. By using these guidelines your baby will have great dental checkups and be on their way to a lifetime of healthy teeth. For those who have never consulted a dentist about treatments for sleep apnea and snoring, it may be time to make an appointment. Dental sleep medicine is a growing segment of dentistry that focuses on managing snoring and sleep apnea with oral appliance therapy – an effective alternative to the standard treatment of the disease, the continuous positive airway pressure (CPAP) machine and mask. Oral appliance therapy uses a “mouth-guard-like” device, worn during sleep, to maintain an open, unobstructed airway. According to the AADSM, at least 12-18 million adults in the U.S. have obstructive sleep apnea, which causes them to stop breathing hundreds of times a night for anywhere from a few seconds to more than a minute. Sleep apnea is a potentially life-threatening condition that can increase the risk for serious health problems from congestive heart failure, stroke, high blood pressure and heart disease to diabetes, obesity, depression and impotence if left untreated. CPAP is the traditionally recommended treatment for sleep apnea. Sleeping with a CPAP machine, which includes a face mask, tubing and a running motor, can be difficult to adjust to. According to the AADSM, up to 50 percent of sleep apnea patients do not comply with or tolerate CPAP. Dentists pioneered the use of oral appliance therapy for the treatment of sleep apnea and snoring. For many, oral devices are more comfortable to wear than a CPAP mask. The devices are also quiet, portable and easy to care for. Research suggests that oral appliance therapy can often equal CPAP in effectiveness and offers a higher patient compliance rate. Oral appliance therapy is recommended for people with mild to moderate obstructive sleep apnea. Once diagnosed by a board-certified physician, a dentist trained in dental sleep medicine can provide treatment. The winter holidays are known for all different sorts of sweets and tempting goodies, but that doesn’t mean that you have to end up at the dentist in January with a mouth full of cavities. How do sweets cause cavities? When you consume sugary foods and drinks, the natural bacteria in your mouth feed on the sugar and create acid. The acids that get created then wear down your tooth enamel, making it weak and susceptible to tooth decay as well as a host of other problems, gingivitis included (gum disease). 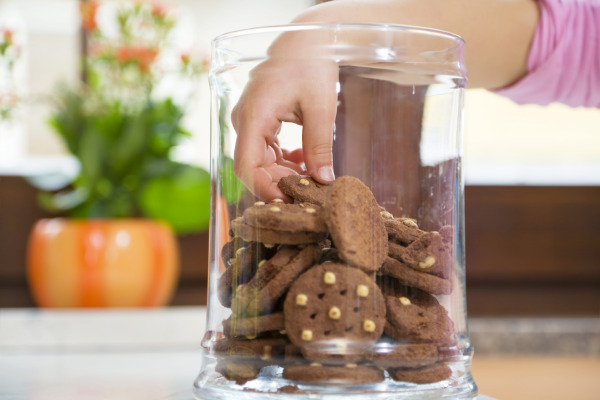 If you are snacking on sweets throughout the day or during a prolonged period of time (such as a holiday party), this can be especially harmful since the damaging acids form in the mouth every time you take a bite of something sugary and will continue to sit on your teeth for the next 20 minutes. · Eating sugary or carbohydrate-rich foods as part of a balanced meal is better than eating them alone. The body produces more saliva to help digest larger meals, which washes away more food and helps neutralize harmful acids before they can attack teeth. · Foods that take a long time to chew can damage teeth. That's because sticky foods, including nutritious choices like raisins, dates and dried fruit, hold acid against teeth longer than do other foods. Try to limit your consumption of these foods. · After consuming high-acid food (fruits) or drinks (wine), rinse with water before brushing your teeth to prevent tooth erosion from the acids. · Keep a toothbrush and travel-size toothpaste handy (for example, in your pocket or purse or store these in the glove compartment of your car) so that you can brush right after eating at holiday parties. An added benefit is that you are less likely to eat after you brush your teeth, so you may end up eating less at parties. · If you're unable to brush your teeth after eating, rinsing your mouth thoroughly with water or chewing sugar-free gum will help to wash away food particles, produce more saliva and neutralize acids in your mouth. Use your holiday vacations to focus some extra time on your teeth. If you have a bit more free time than usual put it towards your daily morning and nightly routines. 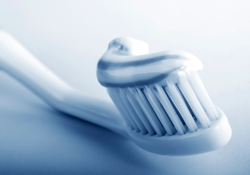 You could spend more time brushing and developing better oral care habits. 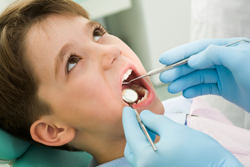 A new study has suggested that tooth decay in children can contribute to delay in their growth. The research, which is published in the online version of Pediatrics journal, was carried out by researchers at the University College London and the King Fahad Army Forces Hospital in Saudi Arabia. Researchers decided to study the relationship between oral health and growth after finding that previous studies presented conflicting evidence. In this study, the research teams analyzed the relationship between dental decay and height and weight in a group of Saudi Arabian children aged between 6 and 8 years old who had significant signs of decay. The children’s oral health status was evaluated according to the DMFT index, which represents decayed, missing and filled teeth and their height and weight were recorded according to scales used by the World Health Organization. Researchers then performed statistical evaluation and analysis of the figures and found that there was a correlation between low weight and height and high incidence of cavities. Those who had severe decay were more likely to be underweight and shorter than average. The authors of the study also confirmed that there was a significant link between decay and growth, even when additional factors, such as demographic and social values, were taken into account. The research teams concluded that this study suggests that there is an inverse relationship between growth and decay, with those showing signs of cavities more likely to experience stunted or delayed growth. Be honest – doesn't the idea of a magical fairy leaving gifts under your pillow just sound awesome? That’s why it can be a great influential tool for children. After all the tooth fairy only wants children to have healthy beautiful teeth! Tell your children about the Tooth Fairy before they begin loosing teeth. Most kids on average lose their baby teeth around ages 5-7. If a parent begins to introduce the idea of a Tooth Fairy before this point your children will be more apt to using good oral habits and keeping their teeth healthy. If your child is grump and decides one day they don’t want to brush of floss simply remind them that the tooth fairy is excited only for healthy teeth – this can help keep children excited and inclined to take proper care of their teeth. When your child finally does get a visit for the tooth fairy leave an encouraging and loving note along with the gift. This note should include other tips for their teeth that the Tooth Fairy wants them to practice and some encouraging words to keep the child motivated. Give gifts the help with oral health! Although majority of kids receive some cash under their pillow from the Tooth Fairy it may be a good idea to consider providing gifts like a new toothbrush with an awesome cartoon character or some delicious flavored toothpaste. You can even be more creative like leaving a new book that enforce good oral hygiene as well! Now you may be worried about losing your child’s tooth under all those pillows. Luckily you can easily find a pillow with a small tooth size pocket on the front that can even be customized for your child. Make it fun and make it a learning experience! A dental extraction is nothing but a tooth being pulled. This is one of the best and straightforward ways to get rid of a toothache or tooth decay. This process involves removing the tooth from its bone socket. This is considered simple because it doesn't involve a high risk surgery that goes on for hours together. The dentist just gives a local anesthesia to numb your gums before starting the extraction process. 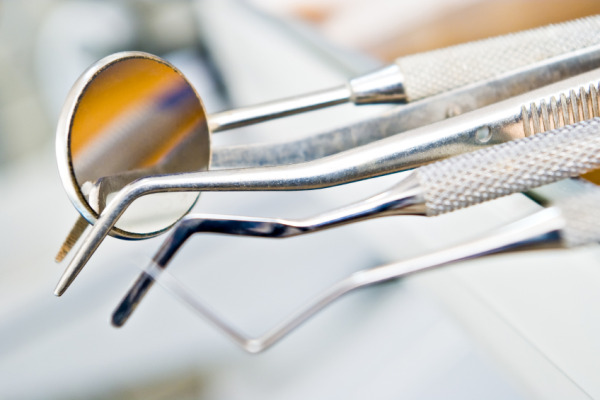 The time taken for the process will usually depend on the tooth that needs to be pulled out. After the dental extraction is completed, a cotton ball will be places in your mouth and your dentist will ask you to bite on and you will be free to go. 5. Plan for an ideal recovery. Prepare that space you will need to recover soon from the surgery. Make sure you have everything you need, from books and DVD's to music and magazines that will help you relax and recovery soon. CEREC brings together two types of computer technology. The first computer allows the doctor to be able to map out the tooth that the crown will be sitting on. The second allows the crown to be made in the actual dentists’ office instead of being shipped out to be made. While there are many reasons to use CEREC here are just a few reasons. What does CEREC mean to you? For one, you will be sitting in the dentist’s chair for a much shorter amount of time. Because the computers allow the dentists to make your crown quickly and efficiently in their own office, you don’t have to use a temporary until the crown has arrived. That means ONE office visit instead of two, saving you both time and money! CEREC crowns are made out of either a ceramic material or a type of synthetic resin; depending on the doctors’ opinion. Because the crowns are made of a single block of material it means they are stronger than most and will last a longer period of time. Due to the fact that your picture has been taken and ran through the CEREC program your new crown will have been made to look as much like your real tooth as possible. For more information about CEREC call our dental office, and get scheduled today. Although your child’s teeth do not stay in forever, they have a very important role in the first few years of their life. Baby teeth can get cavities if not properly taken care of. One of the biggest causes of tooth decay in infants and toddlers is referred to as Baby Bottle Tooth Decay. Children need their teeth in order to properly eat and learn to speak new words. Their first teeth are also responsible for helping their adult teeth come in correctly so it is very important to take proper care of their teeth in order to prevent future dental issues. Baby Bottle Tooth Decay typically affects the upper front teeth but may still affect the teeth around them. Many things can cause tooth decay; prolonged and frequent use of drinks that contain sugar, putting a baby to bed with a bottle, or when a bottle is used in replace for a pacifier. Transferring cavity-causing bacteria to the infant from the primary caregiver can also put your child at high risk. The bacteria is passed through saliva if the mother puts the baby’s spoon in her mouth or cleans a pacifier with her mouth the bacteria is passed to the child. Lack of fluoride use can also put a child at increased risk, but the good news is that Baby Bottle Tooth Decay is preventable. · Try to avoid sharing saliva with child through everyday items like spoons, bottles, and pacifiers. After feeding clean your gilds gums with a damp and clean washcloth. · When your child teeth finally break through brush the gently with a toothbrush and smear a small amount of fluoride until the age of three. · Brush teeth with toothpaste containing fluoride from ages 3 to 6. · Supervise brushing until your child has learned to spit out toothpaste rather than swallow it. · Avoid filling your child’s bottle with drinks that contain sugar. · Have your child finish their bottles before placing them down for bed. · If your child uses a pacifier provide them with a plain and clean one that hasn’t been dipped in sugar or other sweet food items. · Encourage your child to drink from sippy cups by their first birthday. Help your child to maintain healthy eating habits. When your child begins to show teeth talk to a dentist about setting up their first dental visit. Starting them early on healthy oral hygiene habits helps set a lifetime of healthy teeth. In house whitening involves a solution of hydrogen peroxide that gets painted on to your teeth and an hour under an intense dental light. The results of this method can last up to a year! Be careful though, in recent years it has become common for non- licensed practitioner to offer the same type of treatment, with poor splotchy results and often burned gums. 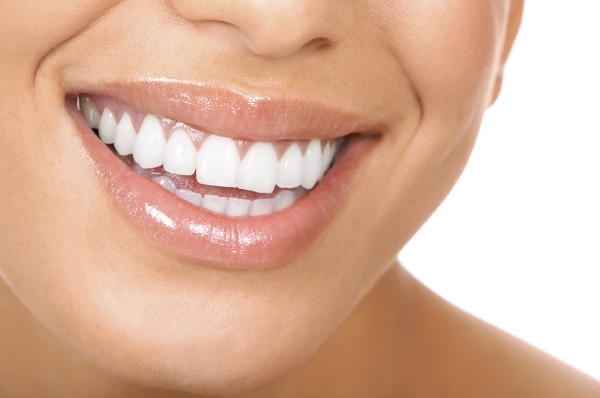 At home whitening is also an option to consider because it is usually less costly. If you choose to go this route, a custom whitening tray will be made for you and the dentist will supply a whitening gel. You will need to wear the apparatus every night for 2-3 weeks. Because the gel is not as strong results do take longer to appear and will not last as long as the in house gel. Whatever you choose please be sure to choose a professional practice. You just went to the dentist and found out that you have tooth damage. After examining the tooth your dentist gave you two options, repair it with a filling or a crown. But what is the difference? Both options will remedy the situation. The dental crown will cost significantly more than the filling. The filling takes just one visit while the crown takes two office visits. Why not just choose the quicker cheaper route and choose to have the filling? The dentist offers a crown to be placed for a number of reasons. These include greater strength, longevity, better tooth protection, as well as more control over the tooth’s cosmetic appearance. The size and shape of the hole greatly affects the situation as well. If the hole is large the walls of the tooth may be weak and thin and have difficulty holding the filling in. Another example, if the hole that is being filled in has an entire corner missing, it presents more of a challenge for the dentist to anchor the filling. On the other hand if the hole is smaller in size a filling is a great remedy that is quick and quite dependable. So all in all, a filling offers a cheap quick fix that could last just as long as a crown and a crown is a more expensive option that is stronger and visually more appealing. So take the time to think it over and make the right decision for yourself. If you have some dental problems and you have heard about the possibility of having dental implants as a solution to your problem, it is good to know what this dental procedure means and what benefits it will give in case you go through the process. 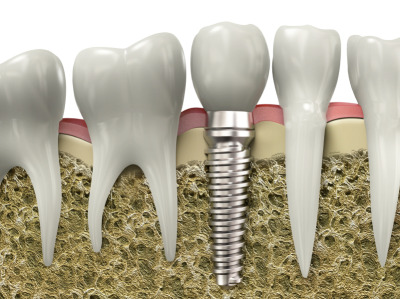 A dental implant procedure allows the replacement of your tooth with an artificially made titanium screw-shaped tooth. The screw that is used is not similar to what you see in the hardware store. The screw has been manufactured with careful and thorough process using sophisticated technology tools. As a result of this, you will be able to enjoy the benefits of an expensive high-technology screw-shaped tooth. In the manufacturing of the dental implant, titanium is used because of its ability to osseointegrate with the bone. This means it has the capability to bond with the bone biologically making the implant possible. The bone can grow around it like a normal and natural tooth. This is the technology that makes dental implant successful. 1. It is more comfortable. Because of the bond of the titanium tooth to your bone, you will forget that your dental implant is not real. You will feel as if you have your natural tooth. 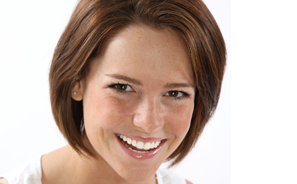 There are no inconveniences and discomfort after going through adental implant procedure. 2. Dental implants look better. With the use of technology, your dental implant can look real. Nobody will notice the difference. The results are very much similar to your natural teeth. 3. Your oral health will improve. With the procedure of placing implants in the areas where there are no teeth, your implant will not affect any existing teeth. The connection is with your jaw bone and not with your natural teeth. This generally will stimulate the use of your bone and can prevent bone loss and degradation in the area. Also, with dental implants, it is easier to maintain oral hygiene because of easy and undisturbed access to your teeth. Everyday care and attention is easy and manageable. With the information given above, you are already equipped with the knowledge about the nature and advantages of dental implants. You can decide if this is something that you need to solve your dental problems. Mouth sores (or canker sores) is a painful blister that is usually an outcome of tissue injury. Stress is also a major contributor to mouth sores. Folic acid, iron, and zinc deficiencies can also cause canker sores. Though mouth sores are normally short lived, they can cause quite a bit of pain. Here are a few recipes to promote healing of these sores. Buttermilk: Buttermilk works like magic in improving mouth sores. The mild acidic nature is the secret behind the effectiveness of buttermilk. Buttermilk is anti-bacterial in nature and is the reason why it has earned the top position amongst home remedies. Baking Soda: Baking soda is an anti-bacterial agent that is known to kill the bacteria responsible for causing mouth sores. Since it doesn’t allow for bacteria to live and grow mouth sores are cures within two to three days of use. Honey: Honey can be used for mouth sores, cold sores, and even fever blisters. There are certain vitamins and proteins in honey that help build the immune system. Increased immunity means you’re body will be fighting harder. It is also beneficial to put honey directly over the sore as well, the sugars inhibit the growth of bacteria which in turn cures the mouth sore. Salt: Using a salt water gargle is another method of killing the sore. Because salt is safe for consumption it become one of the safest and easiest home remedies. Aloe Vera: Aloe Vera is multi-beneficial. It is a very strong analgesic agent that offers anti-bacterial benefits as well. Aloe Vera is safe for consumption thus, its gel can be applied directly over the sore. Just saying the word dentist can strike fear into many people. This goes for children especially. 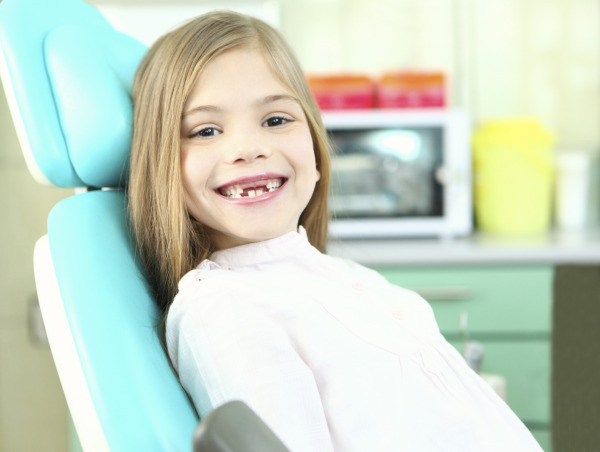 When it comes to the dentist, getting your child on board for the ride can be very difficult. 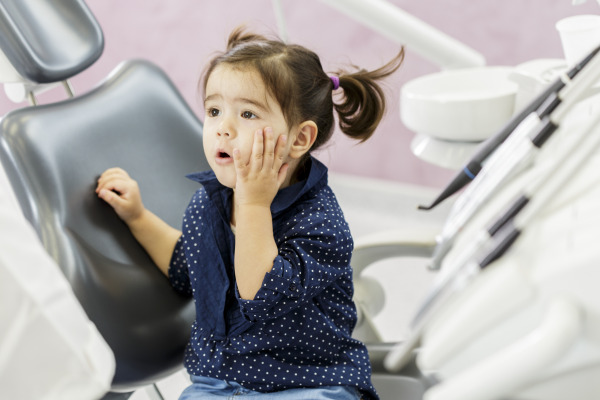 Here are five ways to help make the dentist a little less scary.First, make sure you have a dentist that is good with kids. Try and find a pediatric dentist. They have extra training specifically to work on kids. You and your child will benefit from this. Second, explain why dental care important. Seems simple enough however, parent’s often skip over this step because for them it’s just part of childcare. If your child is aware that you think it’s important and will keep them healthy and strong then it will be easier to get your child to relax. Third, don’t forget to set an example at home. Be sure to follow good oral health care yourself. Children pick up their parent’s habits very easily. If you brush your teeth twice a day and make sure you are where your child can see you, then it will encourage them to want to brush just like you! Fourth, schedule a meet and greet. Start your child’s dental experience by just making friends with the dentist. Let your little one sit in the chair. 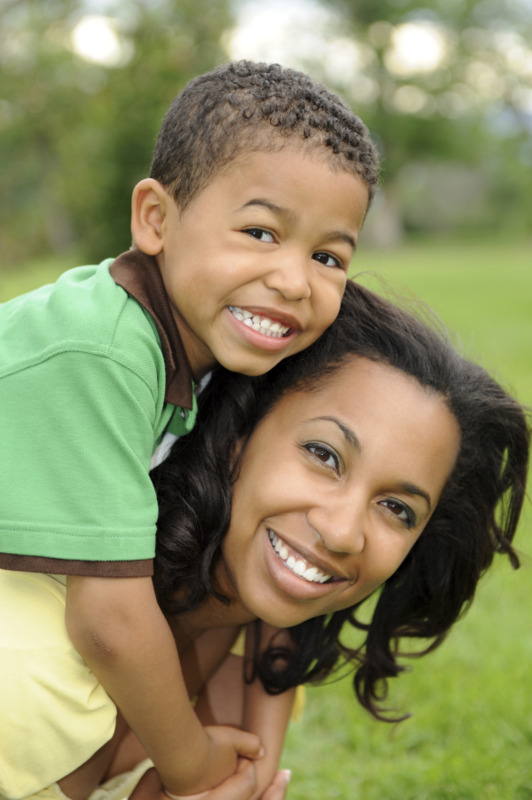 The more your child knows and is acclimated to their surroundings the easier the dentist will become. Lastly, you should schedule regular visits to the dentist. The more your child goes the less foreign it becomes. Your child should be going to the dentist about every six months. If you do this thy will be less afraid because it will be less unknown. Did you know that dental health is linked to other health problems such as heart disease, diabetes, and even an increased risk of having a stroke. Periodontal disease (also known as gum disease) is the most significant disease affecting adults today. Gum disease is a bacterial infection that has reached both the gums and bone that keep your teeth in place. About 31 percent of Americans have some form of gum disease, with the severity increasing with age. Believe it or not, when you have periodontal disease and are pregnant you have an increased risk of your baby having a low birth weight, and are seven times more likely to deliver early. Gum disease affects your heart as well. 85 percent of heart attack patients have periodontal disease. Simple dental care, could help promote a good long life. It is also been said that the seventh leading cause of death for people with diabetes is gum disease. Periodontal disease worsens diabetes and vice versa. A happy mouth truly does make a happy body. Take the time twice a day to take care of those pearly whites. You and your body won’t regret it!